KNOW-HOW and innovation - Stroj-energijska tehnika d.o.o. In this day and age, when almost everything is linked to electronics, we have no choice but to call a repairman or even change the entire device, if anything – even the smallest thing – happens (e.g. sensor failure). This leads to unnecessary costs, complications and frustration. This is why our company, Stroj - energijska tehnika d.o.o., decided to utilise the natural laws of physics. We follow the rules of simplicity, functionality and interconnectedness of individual products and the entire heating system. 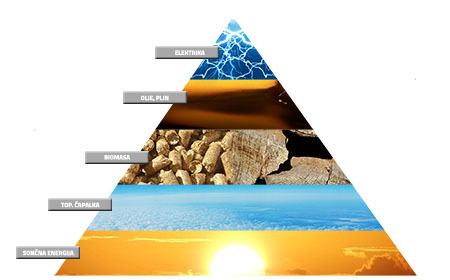 Our products are based on the natural laws of physics: hot water is lighter than cool water. We do not need any additional automatic pumps as each additional element means a more expensive investment, and increases the possibility of a breakdown. 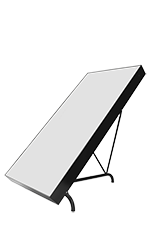 The flat plate solar collectors have a thermal efficiency of 95%. The compact absorber is made of stainless steel with a highly selective coating. The collector has double prismatic glass layer that significantly reduces the radiation loss in less favourable temperature conditions. The absorbed energy entering through the special double prismatic glass is transformed into heat, and transferred to the heat transfer fluid (water). One boiler combines all possible energy sources. They are distributed according to rank, where the most economical source of heating takes precedence over the others: first is solar energy, followed by heat pump, biomass (solid fuel), pellets, and liquid or gaseous fuels. The boilers boast a double separated combustion chamber (lower chamber: wood, upper chamber: oil, pellets or gas). 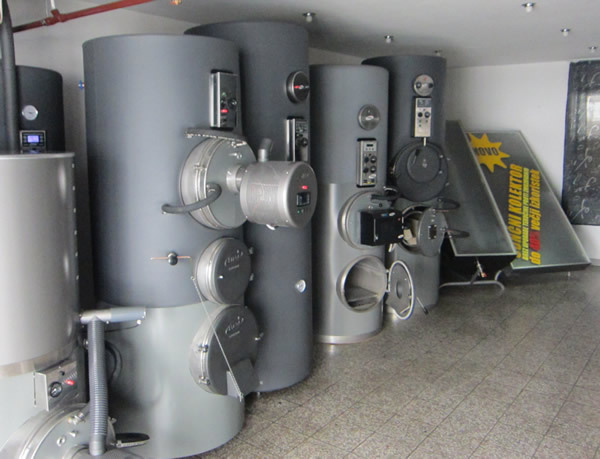 The boilers have two separate flue exit, which corresponds to simplicity and efficiency. Take up little space and reach up to 95% efficiency. There is no need for antifreeze with our solar collectors and our entire heating system. With no solar radiation (winter or summer), the panels cool down, and the water from the collectors immediately flows into a special combined expansion tank. Thus, there is no possibility of the water freezing and damaging the collectors. As soon as the sun comes back, the water flows back into the collectors, and the system is back in operation. This prevents the water in the collectors from cooling to the outside temperature. Assuming that the temperature fluctuates during the day (sunny/cloudy), the energy savings and efficiency are substantially increased. The water also retreats from the collectors when the electricity runs out, or when the temperature in the buffer tank exceeds 95 °C (203 F). This prevents the water from boiling in the collectors. Is your house in a sunny location? Currently the most affordable solution that keeps you warm in the winter and cool in the height of summer: the façade heating system. This is an excellent solution for everybody with a sunny location as it offers an outstanding solution that will heat your house in the winter and cool it during the summer (similar to air conditioning). The façade heating system is currently the most affordable solution that yields exceptionally high savings in space heating and cooling. What room size is appropriate for such heating or cooling? 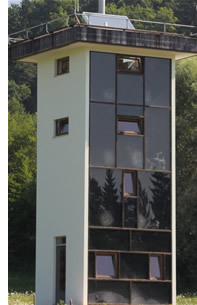 20 m2 of façade can prove heat for 50 m2 of indoor space.